Ed Rendell, former governor of Pennsylvania, has taken a strong stand on supervised injection sites. In August deputy attorney general Rod Rosenstein, told NPR that the Justice Department will not tolerate the opening of a supervised injection site in Philadelphia. Rosenstein said anyone involved in running one is "vulnerable to civil and criminal enforcement." "I have a message for Mr. Rosenstein: I'm the incorporator of the safe injection site nonprofit and they can come and arrest me first," Rendell says. Opioid addiction has worsened in Philadelphia and nationwide in recent years since the deadly synthetic opioid fentanyl has caused a rise in overdose deaths. In Philadelphia last year, 1,217 people died of overdoses, mostly from opioids. "Most of them died alone in the year 2017. It's the highest rate per capita of any big city in America," says Rendell, noting that the city has one of the worst per capita overdose rates, only surpassed by the county that includes Pittsburgh. "We got to do something to stop it." Other cities grappling with the opioid crisis, including New York, Seattle and San Francisco, are considering opening supervised injection sites, but none of them have done so yet. California Gov. Jerry Brown recently vetoed a law that would have allowed San Francisco to open one, saying it would enable illegal drug use. Rendell, a former mayor and district attorney of Philadelphia and author of A Nation of Wusses: How America's Leaders Lost the Guts to Make Us Great, says sometimes you have to ignore bad laws in order to pursue good policy. "It's easy to say, 'It's the law, I'm sorry, guys, I can't do it. It's the law. I'm sworn to uphold the law," he says. "Look, the history of this country is about change brought about by people having the courage to say, 'This law makes no sense.' 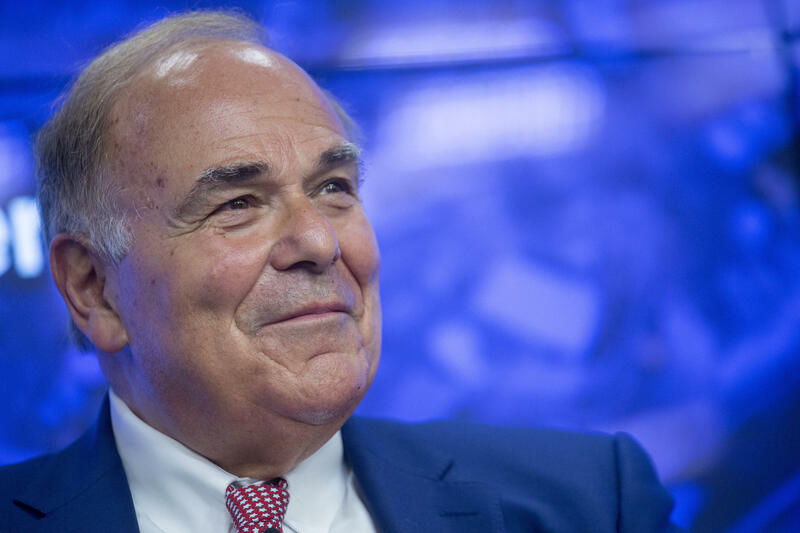 "
Rendell says his brazen position takes him back in time to the early 1990s when he was mayor and welcomed Philadelphia's first needle exchange during the AIDS crisis. Back then, state officials said they would shut it down because it violated drug paraphernalia laws, yet Rendell promised to be the first arrested. A crackdown never materialized. And health officials estimate the move helped drive down new HIV cases in the city more than 95 percent since 1992. But offering clean needles to drug users is one thing. Inviting them into a building to use illegal opioids is a different matter entirely. Ronda Goldfein, executive director of the AIDS Law Project of Pennsylvania, is another board member of Safehouse, the new nonprofit. She agrees that it is a divisive idea, but the model has saved lives in Canada and Europe. "The idea is if today we can prevent that fatal overdose and we can build that relationship of trust, then maybe tomorrow, or even later today, we can encourage that person to get into treatment," Goldfein says. Although 100 such sites operate worldwide, the United States has none. Philadelphia, Goldfein says, might just be the first to officially open one. "We recognize that there are many aspects of addressing the opioid epidemic and we can have an impact on one small piece," Goldfein says. "The thing we all know is you have to survive in order to get into treatment, so if we can keep people alive for one more day, then it's one more day of a possibility that people will enter treatment and get their lives back." At the facility, participants will receive a physical and mental health assessment before entering a room in which they can use the illegal drugs under the watch of medical professionals. They will be provided with fentanyl test strips — so they can see the makeup of their drugs — and clean equipment. After they use, they will be directed to another room where they can talk to staff members about social services, including housing needs and referrals to primary care, according to the group's internal documents. Although the site would be in violation of state and federal law, including the federal "crack house" statute that criminalizes maintaining a place for the use of a controlled substance. Although city officials are not directly involved with the nonprofit, Philadelphia's mayor and district attorney support putting the site in Kensington, the heart of the city's opioid problem. Safehouse has already raised $200,000. But some key elected officials remain opposed, including Pennsylvania Gov. Tom Wolf and city councilwoman Maria Quinones-Sanchez whose district includes Kensington, the heart of the opioid crisis. "We have to reform the entire treatment services component before we can talk about a safe injection site as a tool within that reformed system," says Quinones-Sanchez. "I am not convinced of this yet." On a recent visit to Kensington, signs of drug addiction were everywhere. Syringes and drug bags were strewn across sidewalks and train platforms. People nodding off in front of homes, next to delis, leaning against parked cars. One man, 42-year-old Ray, was wearing a pink shirt, shorts and a backwards Phillies baseball cap. (We're using just his first name because he uses illegal drugs.) He says he would go to the supervised injection site if it were an option, because right now, he uses: "Next to a step. In an alleyway. Backyard. Anywhere. Anywhere," says Ray. Safehouse officials won't say yet when they hope to open their doors, but they say one thing is clear: If getting people like Ray off the streets and into a medical facility means defying the Trump administration, so be it.